Order your own copy of Heroes of Terrinoth at your local retailer or online through our website today! Terrinoth needs champions, now more than ever. As the dead rise and an age of heroes has faded into memory, it falls to you to embody the legends of old. 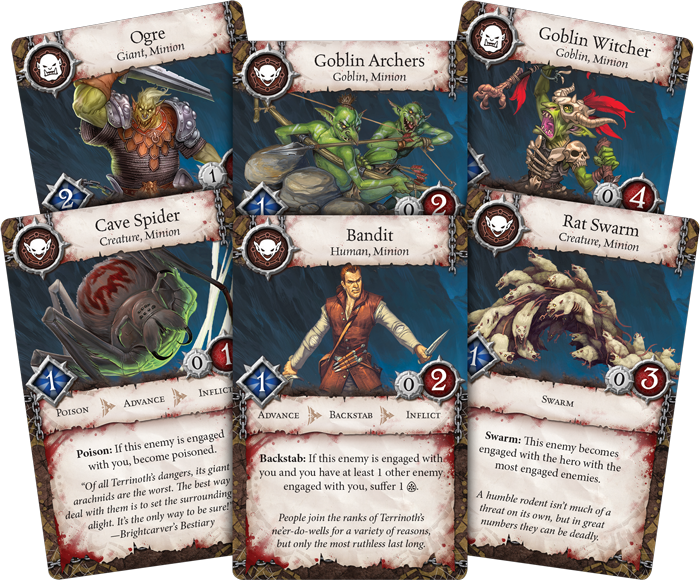 This is your task in Heroes of Terrinoth, a cooperative card game of questing and adventure! But what are heroes without a quest to undertake? Heroes have to start somewhere. 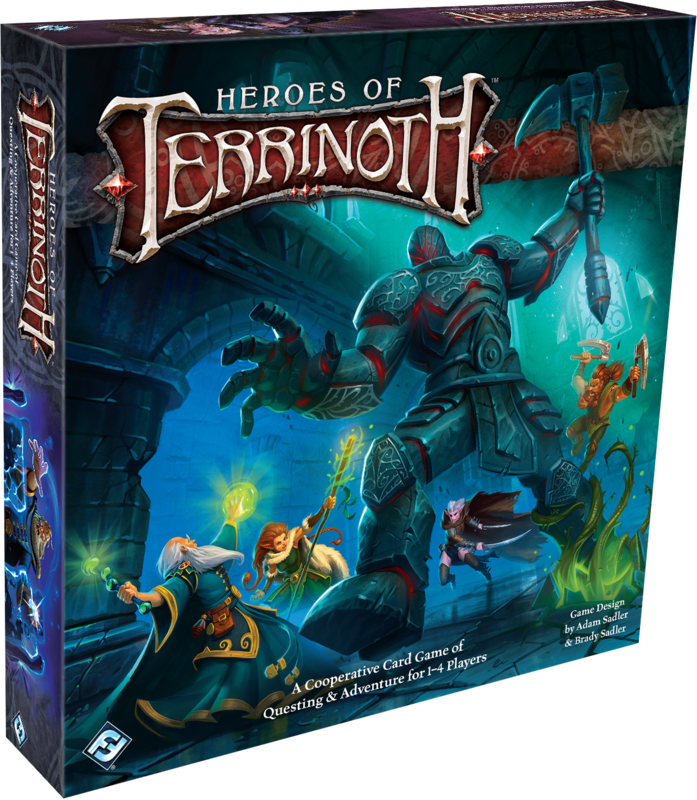 Luckily, Heroes of Terrinoth features a variety of adventures that will put your skills to the test! It’s not glamorous work, but tracking down and defeating goblins is a rite of passage for any aspiring adventurer. After all, how are you going to save Terrinoth if you can’t even slay the self-proclaimed Goblin King? 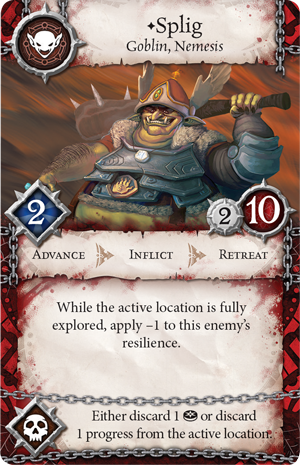 Join us today as we preview a quest from Heroes of Terrinoth: The Goblin Problem! You’ve heard of this self-styled King of All Goblins—strong, devious, and just cowardly enough to keep himself alive. He may not be the worthy foe you imagine for yourself, but he’ll be a good start. 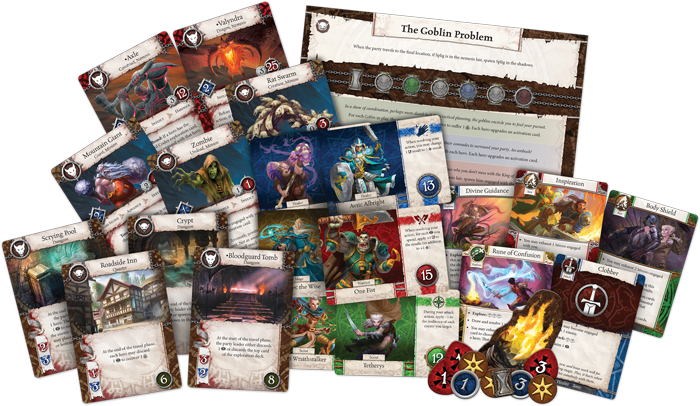 The Goblin Problem is likely to be the first quest that you take on in Heroes of Terrinoth, providing an easy to understand, yet challenging adventure for your heroes to tackle. You’ll have to explore three different locations and defeat the Goblin King himself if you're going to emerege victorious! But it won’t be easy. Goblins may not be the wisest creatures in the realm but what they lack in intelligence, they make up for in pure numbers. During the Peril Phase, goblins can coordinate an attack, spring an ambush, or even Splig himself may show up to teach your heroes a lesson! Luckily, each of these perils sees your heroes re-energized; upgrading an activation card as they prepare for the challenges ahead. Players can spawn Splig through the final peril space or by reaching the final location. Should you slay the Goblin King and fully explore the final area, victory is yours! But should all of your heroes fall, you’ll have to feel the sting of defeat. The Goblin King won’t be your only obstacle on your path. As always, the back of the quest sheet instructs you on how to construct the enemy deck, and gives a hint of the foes to come. The Goblin Problem sees you tangling with all manner of aggressive degenerates, from poisonous spiders to back-stabbing bandits. Goblins, of course, will be your primary foe. Boosted by the peril phase, these archers and witchers are not to be taken lightly. Furthermore, as you advance on your quest, you’ll have to worry about other dangers. Enemies like a Rat Swarm may seem to be a small distraction, but it could be just the opportunity a rogue bandit needs for a perfect backstab. While your enemies may seem fairly straightforward, overconfidence has been many a hero's downfall. Of course, your biggest target is Splig himself. Cowardly and gluttonous, Splig is a fan of hit and run tactics, engaging with heroes before inflicting damage and retreating back to safety. Fully exploring a location will reveal a weak spot, however, lowering Splig’s resistance and inching you closer to victory. The Goblin Problem sees you starting your journey at a Roadside Inn, but you'll also be forced to navigate a Dark Forest and brave a Brigand Camp. In addition to defeating Splig, you’ll have to fully explore all three of these locations to win. 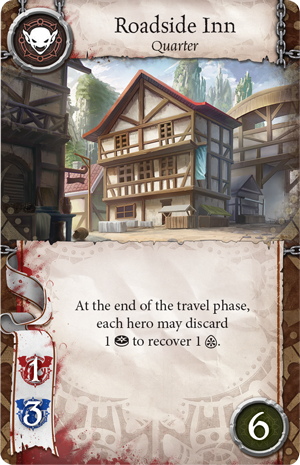 Your journey starts simply enough at the Roadside Inn, which allows heroes to discard a success token to tend their wounds. Your heroes can find some comort and quarter at the Roadside Inn, but your quest won’t end here, and once you’ve successfully explored six times, you move on to the Dark Forest. 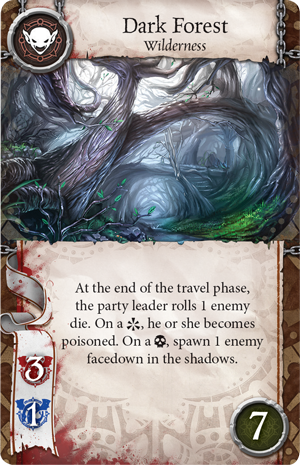 While the Roadside Inn provided a boon at the end of the Travel Phase, the Dark Forest is not so kind. At the end of the Travel Phase, the party leader rolls an enemy die that can see them becoming poisoned or spawn more enemies. The safety of the inn is behind you and your journey will only be more difficult from here. After you explore the Dark Forest, you will find yourself at the heart of the Brigand Camp! The Brigand Camp is the climax of your journey, and sees victory within your grasp. It is here that Splig will make his presence known if he hasn’t already appeared, and this is the scene of your final battle. 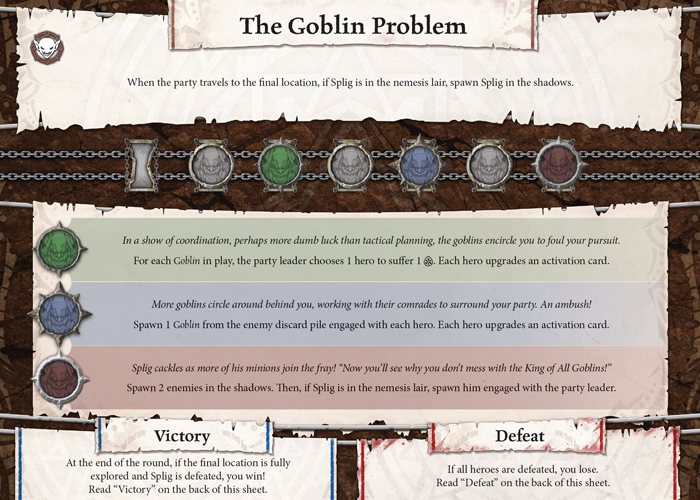 Can your heroes solve the Goblin Problem, or will they fall into the despair of defeat? 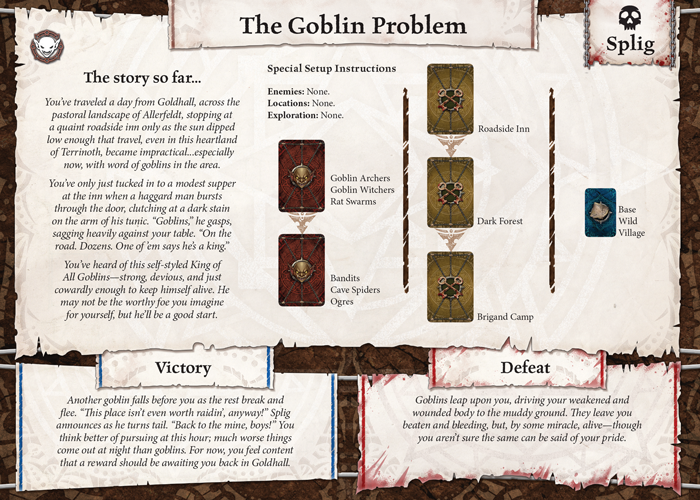 The Goblin Problem is just one of eight quests featured in Heroes of Terrinoth, each of which provides new challenges for your heroes. Whether you're saving townsfolk, slaying a powerful monster, or recovering a valuable artifact, will your heroes find fame and glory in the realm of Terrinoth? Find out when Heroes of Terrinoth releases this week! Start a new adventure with Heroes of Terrinoth (TER01), available now for pre-order from your local retailer or our website!